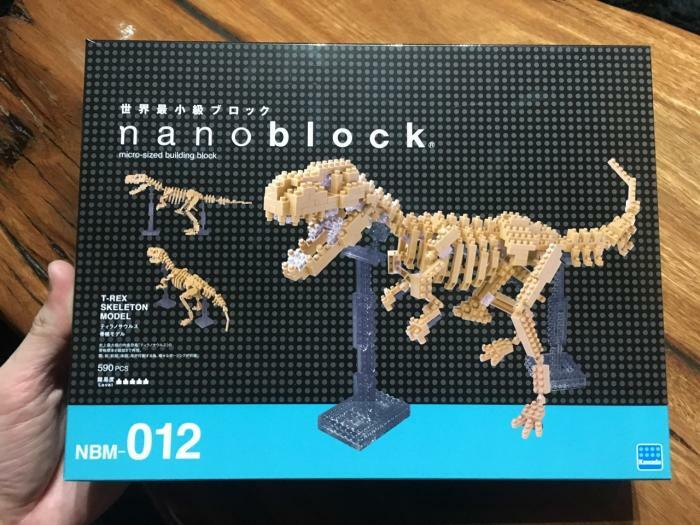 When we were on our round the world trip last year I bought a nanoblock kit for the first time. It was a Panda from the Ocean Park in Hong Kong. 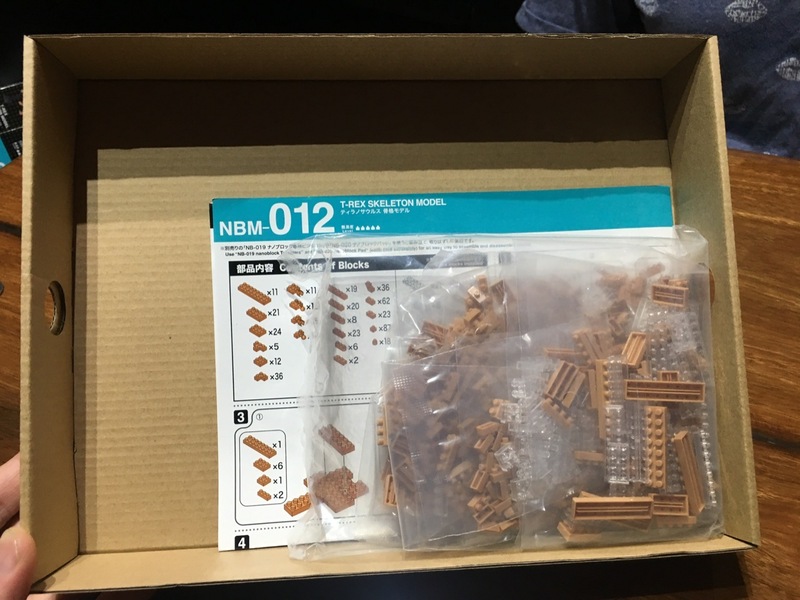 That seemed like a fun kit to assemble, but it was a present to give away so I didn't get to play with it myself. Naturally when we were back home from the trip I ended up buying a much larger nanoblock kit - NBM-012 T-Rex Skeleton Model. 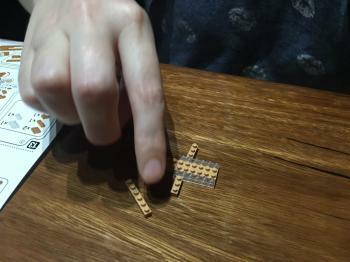 I really liked the look of this one, it had articulated joints and clear blocks for the stand. 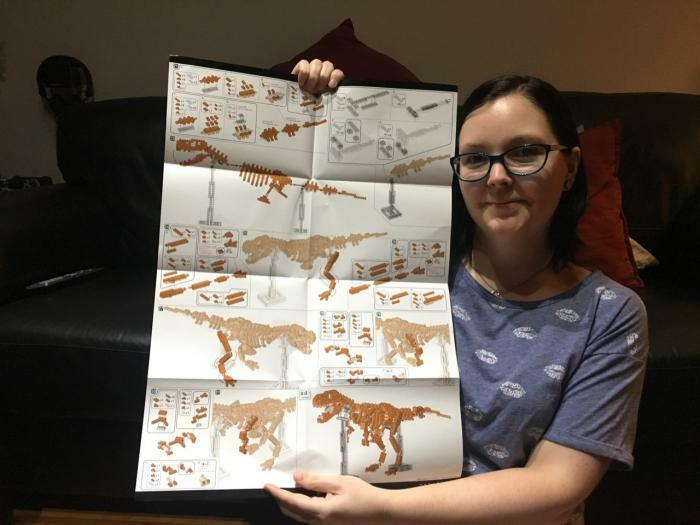 There were 590 pieces in this kit which made it relatively large. I've only put together Lego kits of this size before so I knew it would take a bit of time to assemble. 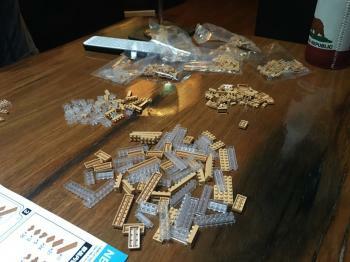 I was still not prepared for how tiny each of the pieces was going to be! 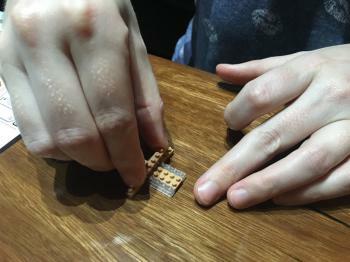 The instructions came on one sheet of two sided paper, but they were easy to follow. 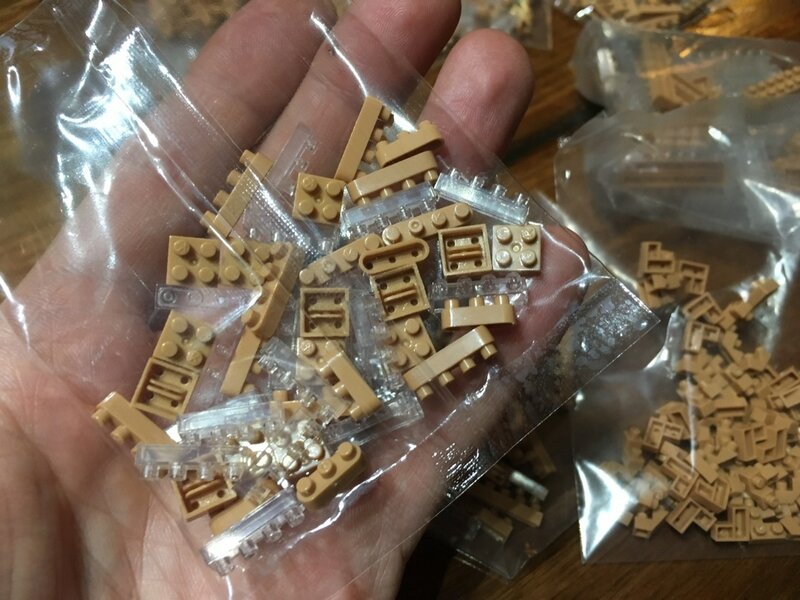 If you compare the pieces in a nanoblock kit to the classic Lego kits - the variety is huge. 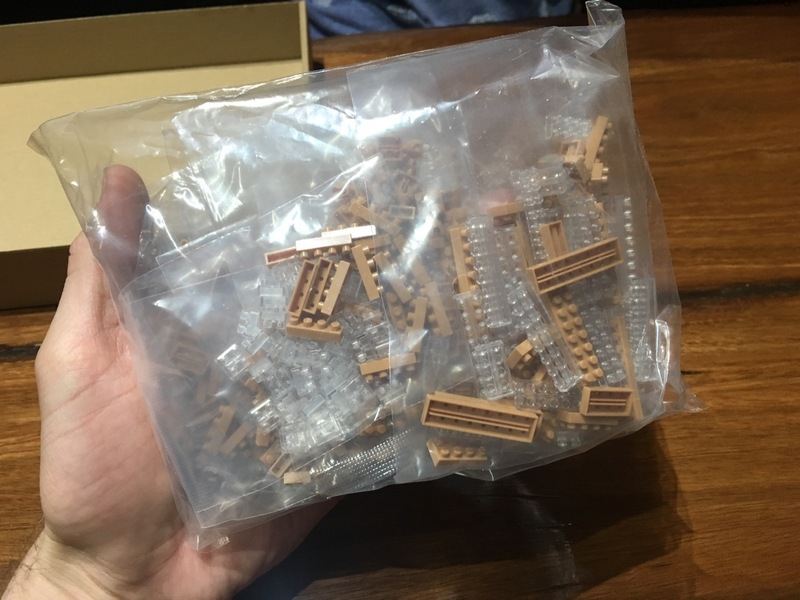 There are pieces with square sides, rounded sides, different types of single connectors - round, square, etc. What stood out immediately was that there weren't individual holes for the pieces to snap in together. 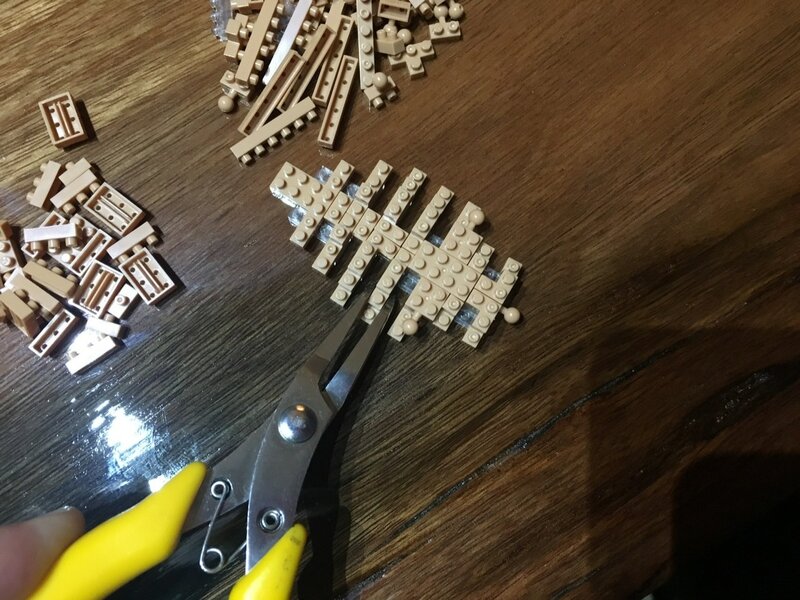 Instead the bottom side of each piece had a long bar running down the middle to create the necessary tension to hold two pieces together. Assembly was tricky due to the size of these pieces! At some points I ended up using needle nose pliers to align pieces. A couple of hours of assembly later and the beast (or the skeleton rather) was finally together! 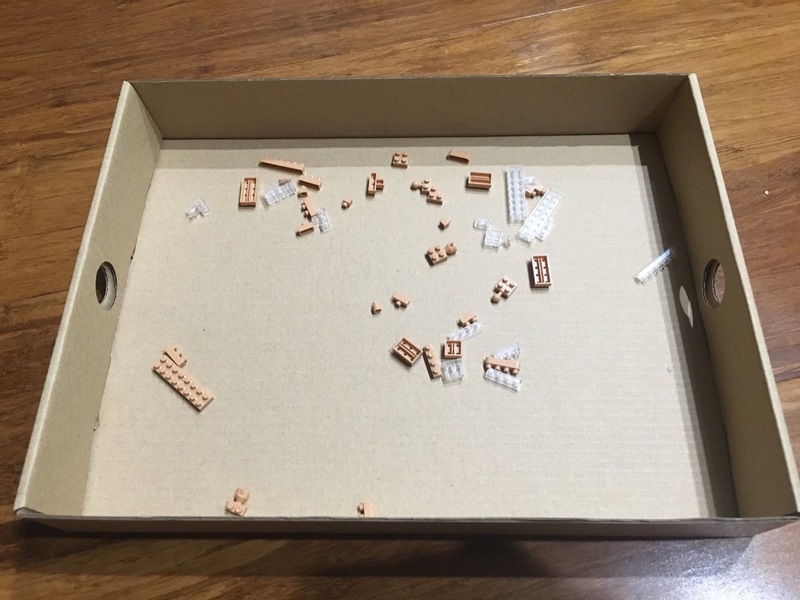 There were quite a few left-over pieces after the build. Much more than you would find in a Lego kit. 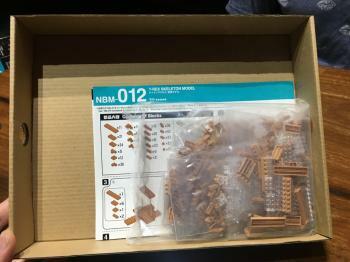 This was a fun kit to put together. 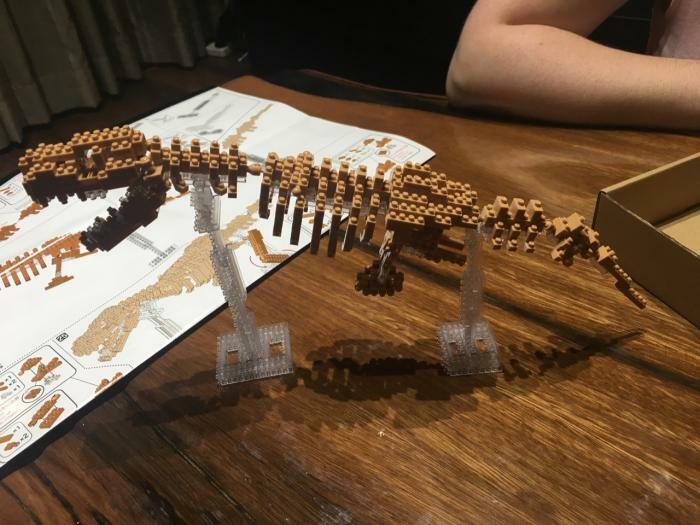 At times it did get a little frustrating trying to keep all the pieces aligned and in place, this was made difficult due to their size. Their small size is the point of these kits however and they do look very cool once assembled.